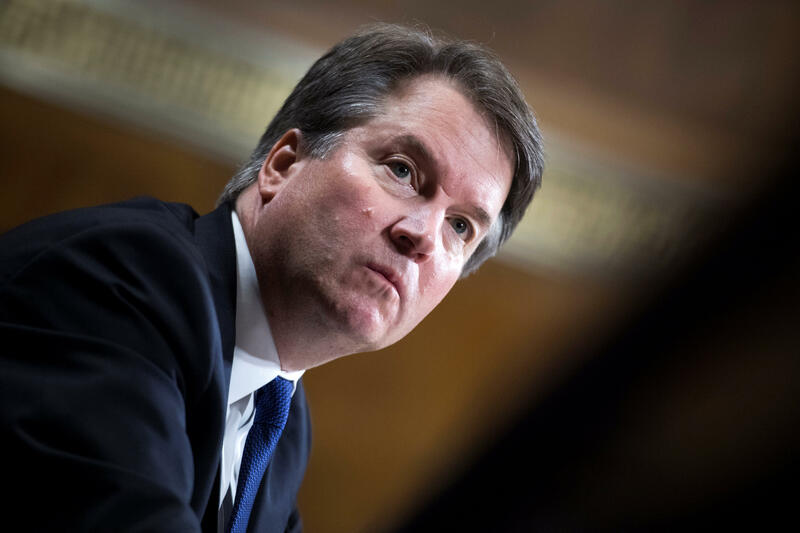 Americans are divided and somewhat more opposed to Brett Kavanaugh's Supreme Court nomination than in favor of it after hearing Thursday from both Kavanaugh and the woman who has accused him of sexual assault, Christine Blasey Ford, but strong partisanship increasingly defines the public's views. Republicans have grown more in favor of his confirmation compared to last week, and nearly half say they'd be angry if Kavanaugh isn't eventually confirmed. Democrats are increasingly opposed after the hearings, with nearly half expressing anger at the idea of Kavanaugh eventually being seated on the court. The net shift in sentiment over the week has been toward opposition. Today 37 percent of Americans do not think the Senate should confirm (up from 30 percent opposed last week) and 35 percent think the Senate should confirm (up from 32 percent last week) as partisan sentiments have hardened. Democratic opposition has gone from 60 percent to 68 percent, and Republican support has gone from 69 percent to 75 percent. Independents are more closely divided and slightly more in favor of confirmation than opposed. Partisanship appears much more closely connected to overall views than does gender. Among Republican women, 70 percent feel Kavanaugh should be confirmed, while 80 percent of Republican men do. Among Democratic women, 65 percent oppose it, and 73 percent of Democratic men oppose. Overall, 41 percent of men feel Kavanaugh should be confirmed, and 29 percent of women nationwide do, with relatively more women saying it is still too soon to say. More Americans overall have adopted a position this week compared to last -- 28 percent are undecided now, down from 38 percent. Most of those undecided last week remain undecided today, but of those who took a position in recent days, more have broken against the nomination than for it. The survey included interviews with Americans we previously talked to last week. Seven in ten Americans are following the story closely and partisan attachments somewhat color views of the hearings. Eighty percent of Republicans feel the Democrats on the Senate Judiciary committee were unfair in their treatment of Kavanaugh. Sixty-four percent of rank-and-file Democrats think the committee's Republicans were unfair to Christine Blasey Ford. Republicans think Republicans treated both Kavanaugh and Ford fairly, and Democrats think Democrats treated both fairly. Looking ahead, 46 percent of Republicans say they'll feel angry if Kavanaugh's is not eventually confirmed, and another 39 percent say they'll be disappointed. Democrats match those sentiments in reverse: 47 percent of Democrats will be angry if Kavanaugh is seated, and another 36 percent will be disappointed. As the FBI investigation begins, a slight majority of Americans overall (53 percent) say the Senate has not yet gathered enough information to make an informed decision about the matter. The reasons Americans give for their views are mirror images of each other too. Republicans in favor of the nomination overwhelmingly cite that they feel Kavanaugh has the right character and temperament for the Court, as well as that they think he'll decide the right way on key issues. Democrats opposed to it overwhelmingly feel Kavanaugh does not have the right character and temperament, and think he'll decide the wrong way on key issues.